Former Miss SVG contestant Jolene Bentick made the casting call for aspiring male and female models to vie for a place in the Caribbean Next Top Model competition. âItâs a show hosted by Mrs Pearl Williams to be held on January 12, 2013 at Marinerâs Hotel from 1 to 4 p.m.
âYou must be between the ages 16-24, must be a Vincentian citizen, unmarried, without a child and of sound moral character,â Bentick told SEARCHLIGHT. 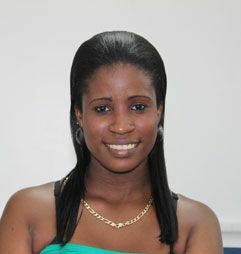 The 2012 Miss SVG contestant said that the event will be held in four stages, and is the first of many events which will be hosted by Beautex International this year. She indicated that the preliminary competition will be held in five stages, with the top male and female advancing to the next leg in Jamaica. Bentick said that the upcoming event would be a perfect opportunity for hopefuls to show what they are made of and gain publicity in the regional and international spotlight. âThe judges would be looking at walking style, creativity of makeup, expression, wardrobe coordination and presentation of hairstyle, and other important attributes to modelling,â Bentick added. Persons interested in being a part of the model search can contact Bentick at 7844308187. A registration fee of $30 is required.